Jimmy Garza, Inc. has been helping families and friends recover properties that have been neglected for various reasons. This category of cleanup is more common than most believe. We routinely work discreetly with families and friends of people who have been unable to take care of their property due to physical or mental limitations. Often, garbage, trash and other items with little obvious value accumulates to the point that renders the premises unsafe. Besides the fire hazard, odors, and issues with just walking through the home, bacteria colony, insect and/or rodent infestation occurs requiring a trained professional to safely remove the excess and salvage those items that have value. 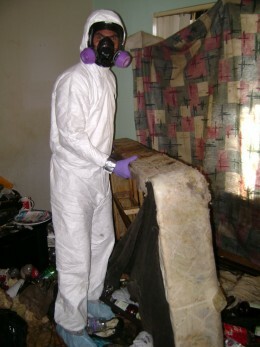 Jimmy Garza, Inc. assists hoarders and the loved ones of hoarders in the tremendous task of cleaning their homes. We are compassionate to your needs and understand your situation. A hoarders' home can be an overwhelming task for family to deal with. We are not only specialists in the cleaning itself, but also in recovering sentimental items, legal documents, and valuables.